Over the past few weeks, the Hammer Museum has had the privilege of hosting over 500 high school students as part of the Now Dig This! outreach program. The exhibition has been particularly interesting to the students because most were not only unfamiliar with the black artists from the time period, but many were also unaware of Los Angeles history as a whole. Our first group visited us from the ICEF Public School cohort. 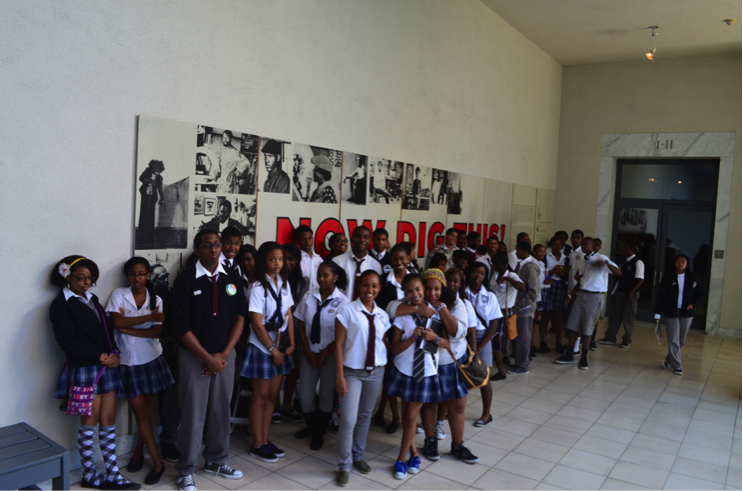 Students from Frederick Douglass Academy High School, Lou Dantzler Preparatory High School, and View Park Preparatory Accelerated High School joined us for a morning of touring, browsing the collections, and eating lunch together. Students from Lou Dantzler High School were accompanied by their art teacher and were already well-versed in art techniques and terminology. They spent time in the Permanent Collection talking about perspective and viewing some of their favorite artists. 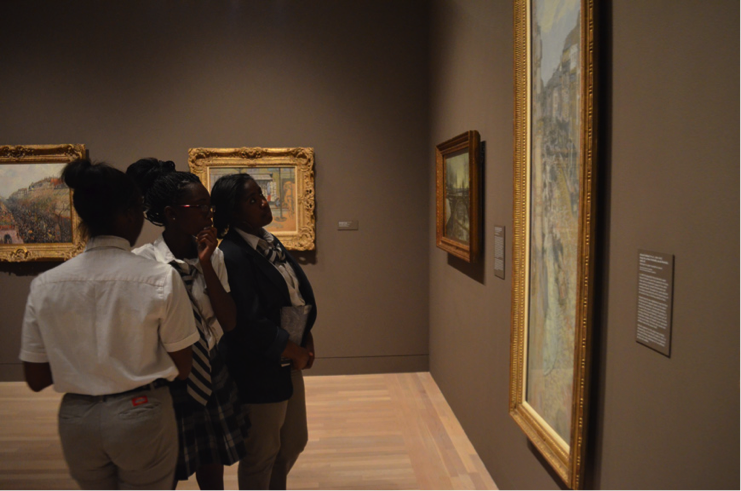 Many of the students said seeing the Van Gogh works up close was their favorite part of the visit. The Hammer has also hosted several schools from the HeArt Project with the help of Margit Edwards, Project Coordinator at the HeArt Project. Margit joined each of the affiliated schools after their tours to share her experience as the daughter of Now Dig This! artist Mel Edwards. The students from Central High, Angelus Plaza enjoyed her personal connections to the pieces and artists on view. 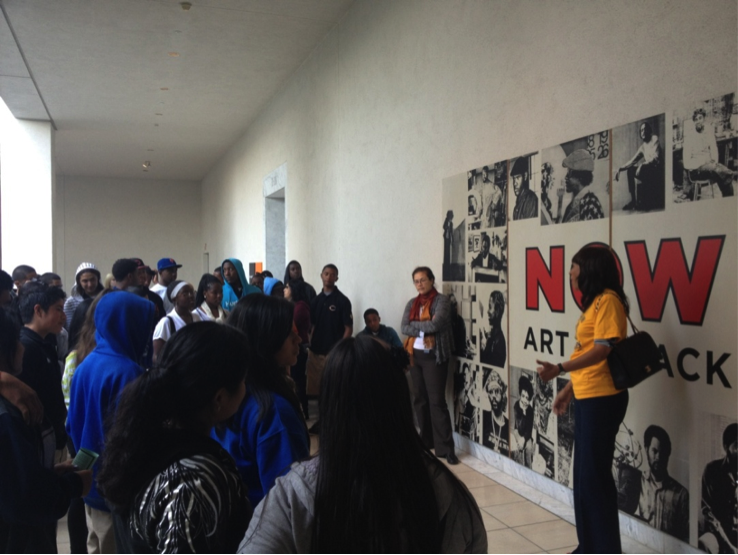 Over 200 students from Crenshaw High School were invited to the museum over a period of three days. 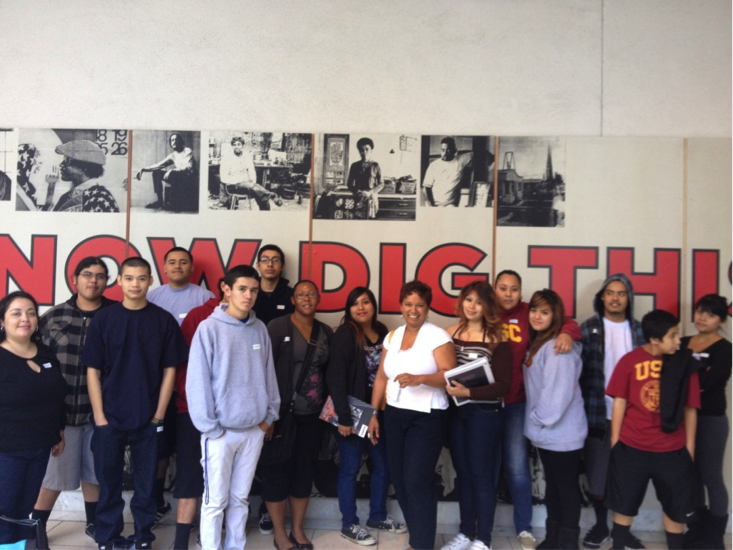 During one of their visits, Dr. Joy Simmons, a Hammer supporter and Crenshaw alum, greeted Crenshaw students before they began their tour of Now Dig This! She surprised everyone by wearing her Crenshaw Cougars t-shirt. 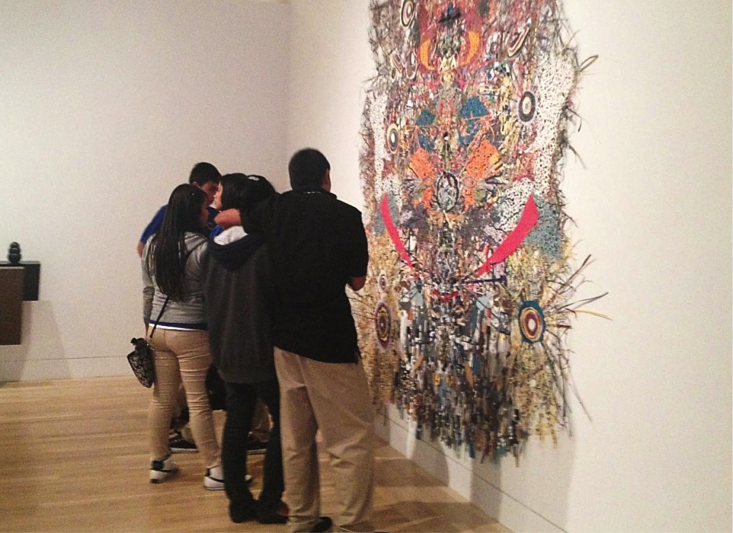 The Crenshaw students also enjoyed spending time in the Selections from the Hammer Contemporary Collection and Grunwald Center exhibitions. Students from Crenshaw spent their lunch on the terrace and socialized with the Hammer Student Educators. The ping pong tables from Mark Allen’s Public Engagement Project were a huge hit! 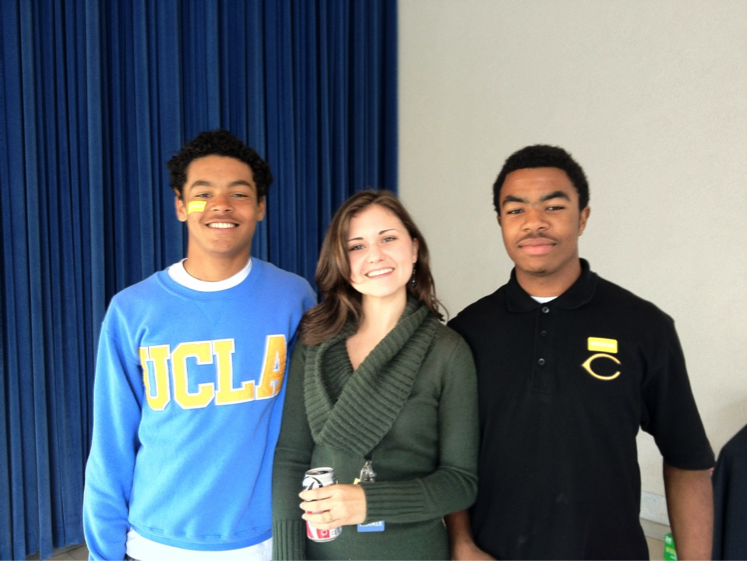 Student Educator Tiffany Smith ate lunch with some of the Crenshaw High School Students. 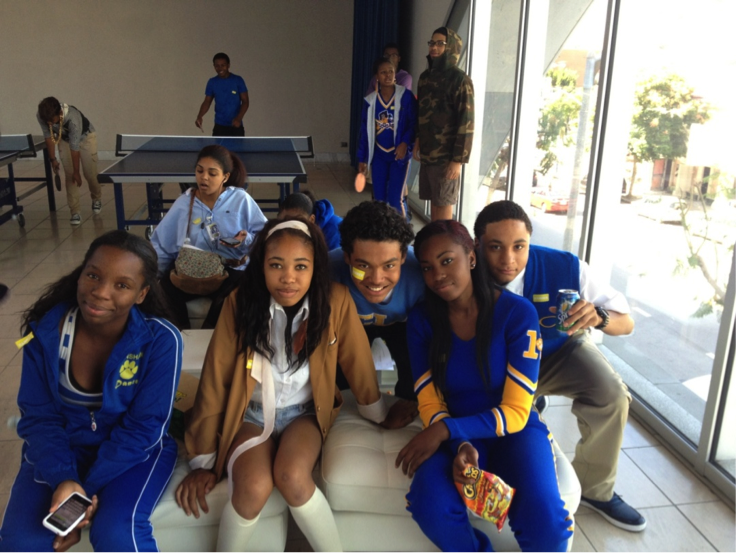 Crenshaw High School students were some of the most spirited we’ve hosted. 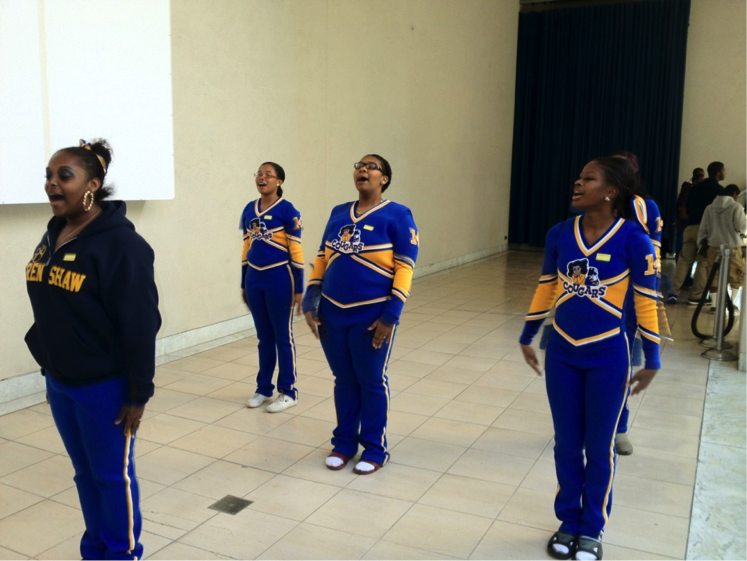 Before they left for school again, the Crenshaw High School Varsity Cheerleaders even showed the Student Educators a cheer! The exhibition has been eye-opening to all of the students who have visited and the Hammer Student Educators have had a fantastic time working with these wonderful and articulate students. With many of the high school students being first time art museum visitors and nearly all first time Hammer guests, we hope we have helped inspire many new art-lovers and museum-goers within the groups. We can’t wait to host many more fantastic school groups like these in the future! Now Dig This! outreach programs have been made possible by the Eileen Harris Norton Foundation, The Kenneth T. and Eileen L. Norris Foundation, Ina Coleman and Alan Wilson, and V. Joy Simmons, M.D.